The British Council is working with partners including the Royal Institute of British Architects and Foster + Partners to invite UK-based architects and designers to participate in the Unlimited Doha Design Prize 2016. 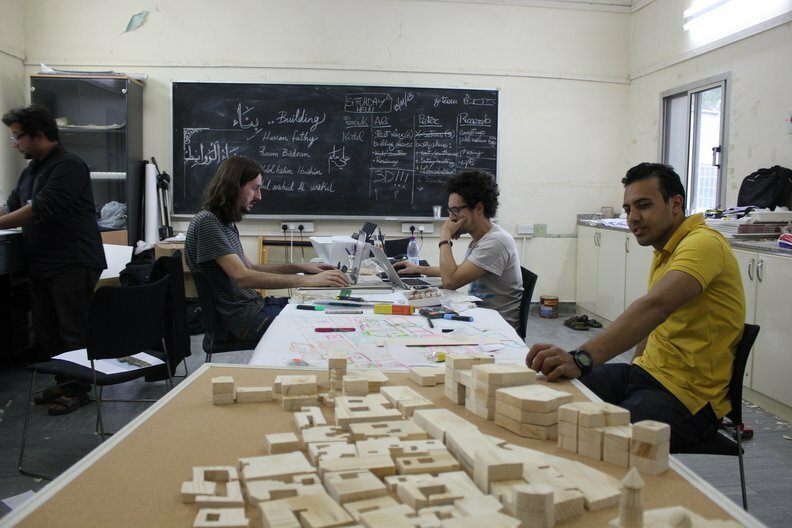 This design-residency offers a unique opportunity to collaborate with counterparts from across the Gulf region. During a week-long design residency in Doha, Qatar from 18-26 March, 20 participants – 10 from the Gulf and 10 from the UK – will work collaboratively in teams to explore the theme of ‘The Open City’ and to develop new ideas, innovative design solutions and future practice that will serve to improve the experience of movement and accessibility within cities. We welcome applications from designers, from a variety of disciplines, including architects, urban designers, engineers, 3D designers, technologists, researchers and other related specialists. Submission deadline, 28th February 2016, see details of how to apply below. The design-residency will give shortlisted participants the opportunity to build lasting professional and creative connections between the UK and the Gulf region. Doha is one of the youngest and most dynamic cities in the region, where the current pace of change is creating exciting opportunities to build new communities, public urban spaces and transportation links, that will shape the lives of inhabitants in the next decade and beyond. The prize this year will build on the success of the Old Doha Prize, held in 2013. At the end of the design-residency, the teams will present their projects to an eminent international panel. The winning team will be awarded the Unlimited Doha Design Prize with a grant of £15,000 enabling them to develop their project proposal. Jane Duncan, RIBA President says “The Unlimited Doha Design Prize provides UK and Gulf based architects and designers a unique opportunity to work together in the spirit of collaboration and experimentation to explore the concept of accessible, open cities and how the experience of movement within buildings and the public realm alike can be improved. By realising new ideas and innovative design solutions, participants can not only have a fundamental influence on the emerging cityscape of Doha, but also develop new knowledge that can be shared internationally." We welcome applications from either individuals or practices. Applicants should have a minimum of two years professional experience post qualification in a relevant sphere of design. - Main areas of your design interest in the context of The Open City (max 500 words). - Up to five examples of key projects (realised or speculative), that represent your approach. - A short statement that briefly outlines why you are applying to take part in the Unlimited Doha Design Prize and your perspective on the issue of The Open City (max 500 words). - CV of the proposed attendee(s). For all the information you’ll need to apply, please download the Unlimited Doha Design Prize Open Call. Submissions should be in PDF format and not to exceed 2MB in size. Submissions should be emailed to UDDP@britishcouncil.org by 23.00 (GMT) on Sunday 28 February 2016. Successful applicants will be notified on 2 March 2016. For additional clarification on eligibility and application, please also consult our Questions and Answers Document. If you have any unanswered queries however, please do email us at UDDP@britishcouncil.org.